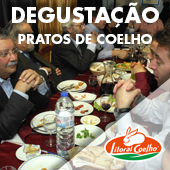 Jantar degustação | Litoral Coelho - Abate e Comercialização de Coelho, S.A. 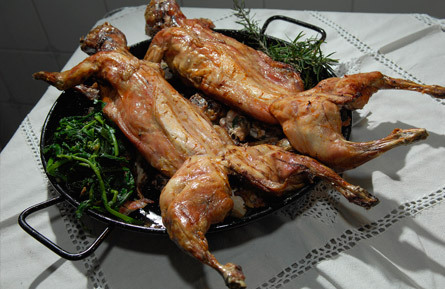 The Litoral Coelho SA, in partnership with the restaurant “A Cova do Finfas” located on the beach of the torch, held last Saturday, March 1, a dinner in which the star was the rabbit meat. allied in this event solidarity, through a contribution to a local institution such as the work of Frei Gil in Mira, gastronomy, through various rabbit products, such as rabbit sausages, patties, samosas and rabbit crepes and music, with a bet on a duet of young musicians. 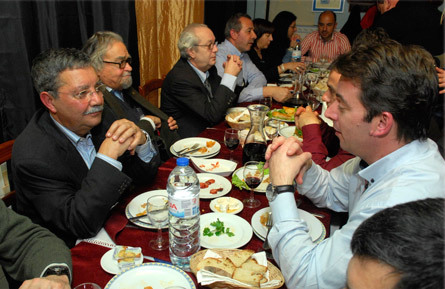 Of note, the main objective of this event, the disclosure of rabbit meat in its culinary and nutritional aspects. The rabbit meat is ideal for the desired nutritional balance, is appreciated for being tender, juicy, tasty and easy tasting, being recommended for consumers of all ages. In addition to the enumeras people who have joined this initiative, were still present, associating the same through its presence, the Portuguese Cardiology Foundation, the ARS of Coimbra, Aveiro DRAP and ASPOC.